PEKKA is the highest damage-per-second troop, troop the most expensive elixir troop and requires the longest training time in Clash of Clans. Till now, no one knows who P.E.K.K.A is: A samurai, a knight or a pirate? We just know: She is a girl. P.E.K.K.A is the last troop in the Barracks. You can unlock her when you hit Town Hall 8. 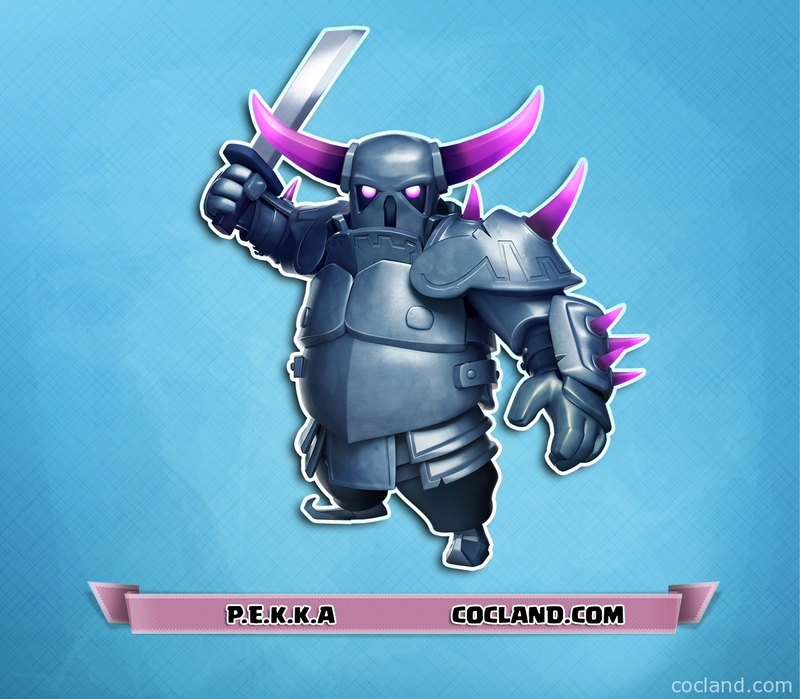 P.E.K.K.A is the strongest unit in Clash of Clans. She has 2 purple crystal spikes on her head. Because of the armor, she is so heavy that the Spring Traps don’t affect on her. Hidden Teslas do double damage on P.E.K.K.A because of the conductivity of her armor. 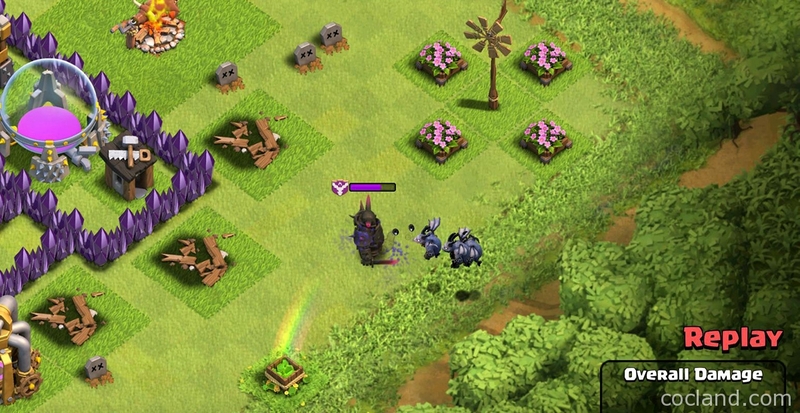 If the clan troops come out to P.E.K.K.A her while she is attacking the buildings, she will turn to attack those troops. Note: DPS = Damage per second; DPA = Damage per attack. Because P.E.K.K.A can do a lot of damage per second, it means we need to keep her safe as long as we can. To do that, we need a good tanking troop with very high health. Only Golems can do that for P.E.K.K.A. 2 P.E.K.K.As can destroy most buildings with a single hit. In most cases, bringing just only 1 P.E.K.K.A into the war is a waste. Because of her terrible attack speed, you need to bring couples of Wall Breakers into the war to break the walls as soon as possible. Always beware of the Hidden Teslas because they can deal x2 damage to your P.E.K.K.As. Never bring only P.E.K.K.As into the war because they just can attack ground unit. They will cry if they face flying units. Never upgrade more than one Hidden Tesla at a time. 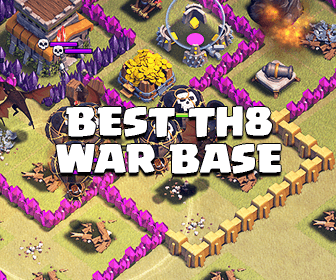 They are the key defense buildings of your base against P.E.K.K.As. Place Hidden Teslas in the core so they can take care the P.E.K.K.As with the longest time. Always have troops in your Clan Castle. A bunch of Barbarians and Archers can kill a single P.E.K.K.A easily. Witch is also a good choice to distract the P.E.K.K.A because of the unlimited skeletons. Always re-arm your skeleton traps. 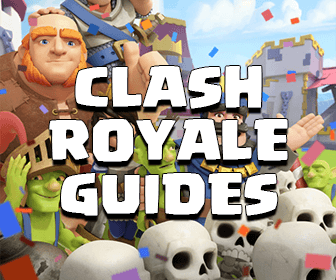 I hope this small guide gives you new useful information and knowledge about P.E.K.K.A.